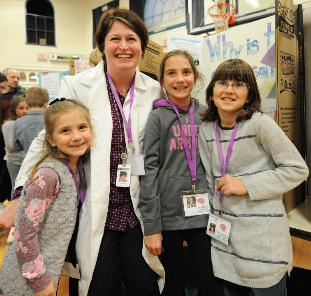 Katonah's youngest scientists asked some fascinating research questions at the Third Annual KES Science Fair. Through their experiments and research for the Science Fair, students are encouraged to see science as a real and vital part of their lives. Local professional scientists and KLSD faculty and administrators in lab coats engaged the students in thoughtful conversations about their research, allowing KES students to celebrate what they learned as well as consider the different potential career opportunities an interest in science can bring. Science fairs spark life long curiosity for students and we can't wait to see what innovations and technologies KES students will continue to develop when they wear their own white lab coats!